New to circus? No experience? No problem! As part of the Festival Fortnight celebrations run by LEAP Sports, Adventure Circus is excited to announce an LGBTI aimed workshop enabling you to reach new heights. To get you fired up and ready to fly, we will be entertaining you with our fabulous drag queen friends from Glasgow, who we have previously worked with and are very excited to meet you all. 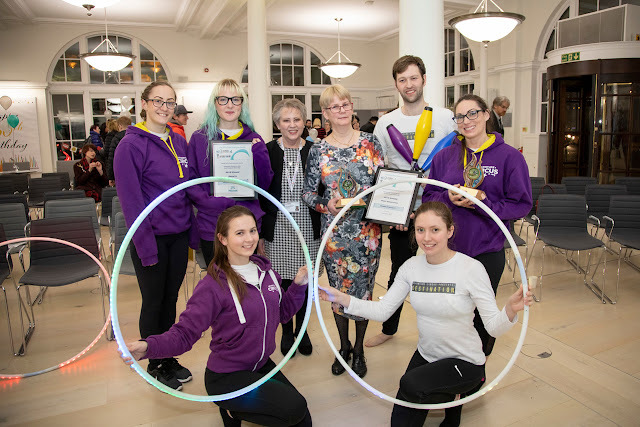 Suitable for ages 14(ish) years + and for all different levels of fitness, we invite you to join us, and experience the excitement gained from learning circus skills. This session will cost £5. Booking is available below via Pal Pal. We have 20 spaces allocated on a first come first served basis. If the event proves popular we will make arrangements to allow more people to enjoy this experience. You can also register friends / family to come and see our show for free (well we will have donation buckets). Please add free tickets to your booking so that we can borrow enough chairs! The show will start at 4.30pm. We will also be posting updates and photographs on our Facebook event so keep your eyes peeled! For any more information please contact us at admin@adventurecircus.org or call Stephen on 07812 149652. We hope to hear from you soon!